Joss & Main FLASH SALE! That’s right! The sale at Joss & Main just started and select artgoodies towels, sham pillows, squillow pillows, and stuffie mini pillows are on SALE! Click HERE for the sale! artgoodies all over doily sham sure looks cute in this lifestyle shot! The Vintage Bazaar this weekend! Getting ready for The Vintage Bazaar this weekend in Chicago! I’ll be there with loads of vintage housewares, state trays, metal trays, aprons, tablecloths, and a couple of great Mid Century chairs! Get a ticket and come to the party Friday night for the best selection, or get in free Saturday! And as usual if you can’t make it you can always shop Vintagegoodies online right here! Gettin ready for the show! In honor of Valentine’s this February’s color of the month can only be RED! 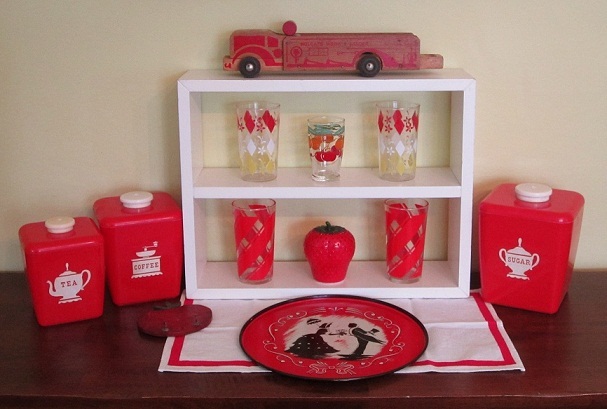 Fave pieces: the cute silhouette sweetheart tray, awesome canisters, great glassware, cute strawberry sugar bowl, and fantastic wood fire truck toy! 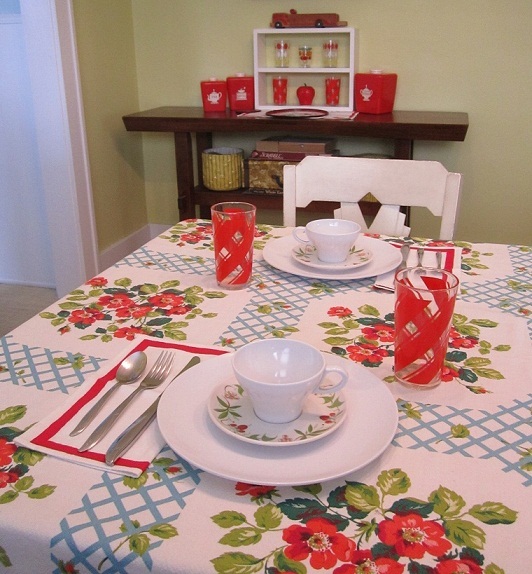 I adore this vintage tablecloth! You'd never know it has a hole here and there. Melmac plates set the stage of course, including these adorable saucers with strawberries! Bold vintage glasses and red stripe napkins complete the look! 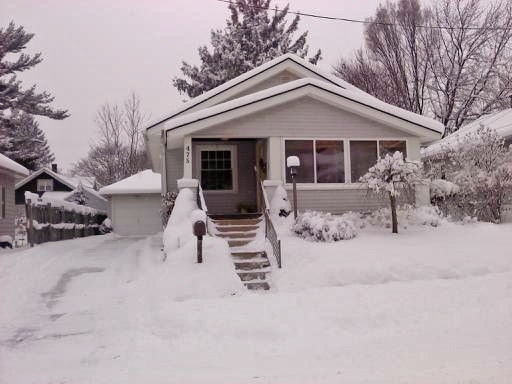 On days like this I pat myself on the back for hiring a driveway snow removal service. This powdery winter wonderland is beautiful, especially with the snow sitting on the tree branches! But, this weekend I’m happy to be safely tucked away in the studio! Every year or so when visiting family I stop into a couple of favorite vintage buying spots. They never disappoint, and this time, WOW! 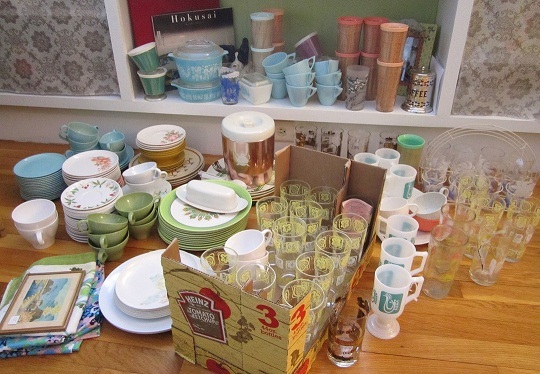 I had a super Melmac Attack, and found loads of great glassware! I only wish I could go to these places more often! 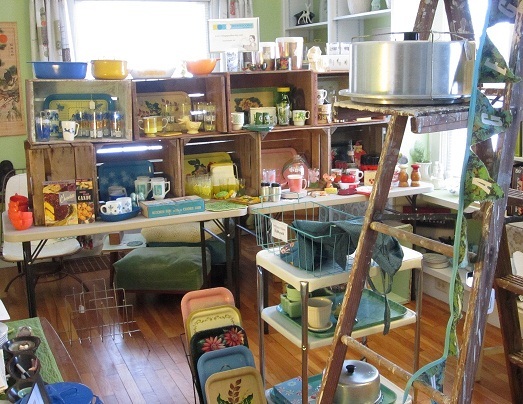 Here’s a little sneak peek of what I’ll be adding to my vintage shop in the coming weeks!